Today is the day…Midterm Election day has come. On November 6th, 2018, hundreds of thousands perhaps millions of Americans will be lined up at voting centers across the US. Thousands of radio and television ads, social boosts, text messages, newspapers, and online outlets are encouraging people to vote today. Most politicians, celebrities, TV personalities, and musicians have even endorsed candidates or have vehemently encouraged their fanbase to show up to the polls and cast their ballot. “Your Vote is your Voice”, has spread across every social platform like an infectious disease which everyone appears to happily spread rather than normally destroy, from Facebook, Twitter, Instagram, even to Snapchat. Even Google has changed its logo for this day to say, “Go Vote”. 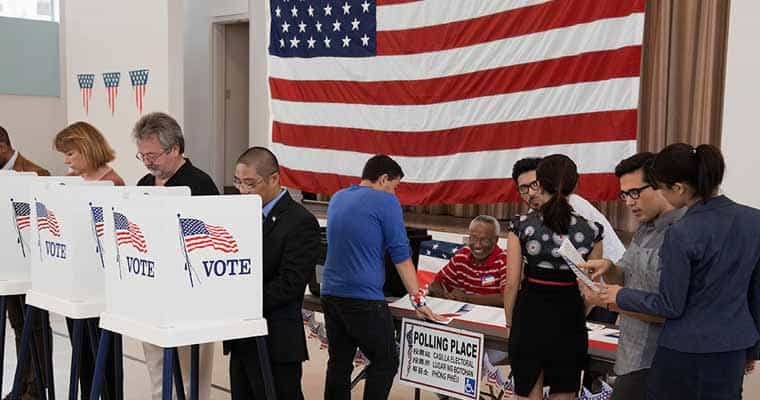 However, even on Midterm Election day, some polling centers have reported issues and some voters are being suppressed from allowing their voice to have true weight during these times. Nonetheless, hotlines for voter assistance and websites sharing information for same-day voter registration for certain states have appeared alongside platforms with these encouraging statements via activists, independent journalists, and everyday Americans who have a significant interest in our current political climate. For our company, in particular, we are always concerned with the latest news and legislative updates which affect the landscape of the US so while the Midterm Elections provide a clear importance for our work in political betting and state gambling ballots it also has personal importance for each of our staff members. Today we would like to share how our most valued members feel about voting and its importance to them. “I personally am quite encouraged by voter response thus far for the 2018 Midterm Elections. Reports about record numbers of young people showing up to the poll truly represents an evolution for our nation. As someone who became old enough to vote before the Internet and the information age, I showed up to vote with little real information in many cases. At that time, most young people didn’t care about politics and didn’t bother voting. There was nothing in the news or newspaper (our only information sources) that made it relevant to us. While I was mature enough to understand that my vote mattered and that my responsibility to vote was legit – I was not an informed voter, thereby diminishing the genuine value of my vote. I would encourage everyone to really research the candidates and the amendments. I would also encourage that you do this outside of mainstream media sources. Go to the candidate’s websites, read exact quotes within the context that they were made, research their voting records on issues, watch youtube videos that show an entire speech, so you can see the spirit in which things were said. “Voting is a privilege that many Americans overlook. I think we can all agree that the USA is not perfect, but voting is how we will shape our future society. The issues being brought to the forefront right now will determine how we as a country will progress. When I look for a candidate to endorse, I look for someone who will uphold my personal beliefs. Yes, as Americans we have different beliefs and issues that are important to us, but voting is power, and together we can make this world a better place for all people. I think it is also important to realize issues that are important to our neighbors, friends, and family. While we might not always agree with them, it is important to know what matters to them and why they feel that way. “As a child of immigrants in today’s current political climate – where citizenships are being threatened, and hate crimes against minorities and racial profiling increases, I believe voting has a significant impact on the progression of these issues. Voting allows citizens to change their local government by choosing their next Senator, Governor, Attorney General, State Supreme Court Justice, Department Commissioners and local county judges which in turn changes the direction of local politics. As a queer woman of color, political issues often directly impact me, my family, or my friends. “In 508 BC, ancient Greece established the first known form of democracy, and since then, nations around the world have adopted public elections and voting has been the cornerstone of any representative form of government. The founders of the United States of America adopted this philosophy when creating the Constitution in 1787 and ratifying the document in 1788, giving “We the People” the right to vote. However, this did not give all citizens the right to vote, and instead, it was limited to property-owning and tax-paying white males at the time. The Constitution has seen many changes since this time: from granting citizenship and voting rights to all persons born or naturalized in the country with 14th amendment in 1868; the 19th Amendment granting women the right to vote in 1920; and with the Voting Rights Act of 1965, which prohibited racial discrimination in any part of the voting process. We hope these statements have given you, our reader, a peek behind the internal struggles people of all backgrounds face while sharing the personal sentiments of our own staff. Voting can be defining moments in history and in our lives. For some, voting is one of the most important and influential things they can do in their lifetime. Not even generations ago schools were segregated, women were not allowed to legally prosecute workplace sexual harassment, Native Americans were barred from voting, childrens’ education suffered from gender inequality, among other undesirable conditions. The voice of the people, demonstrated through voting, had a direct correlation with the elimination of these kinds of outrages. Voting has a direct impact on the state of the country and how we and others live. While we do not ask you to vote based solely on this, we do ask you consider others in your decisions as not every issue on today’s ballot will reflect policies which directly impact you or your circle of influence but will impact the lives of others. Today we’d like to provide one last reminder on top of everyone else’s statements – we’d like to personally deliver this to you: Please, go vote.